Will RGV regain his golden touch with Satya 2? Ram Gopal Verma (RGV) has not been having a good run in his directorial ventures, especially since the last few years. Both of his films in 2013 that have released till now, namely Ab Tak Chappan 2 and The Attacks of 26 failed to create any ripples at the box office. 2012 was no better, with both his ventures for the year, namely Department and Bhoot Returns sunk without making any significant impact. Perhaps, RGV, who burned his fingers badly after the disaster of Aag in 2007, that was a remake of Sholay, but couldn't recreate the magic of this cult classic. Both critics and the audiences panned Aag badly, and since then, RGV appears to be just a pale shadow of his glorious past. 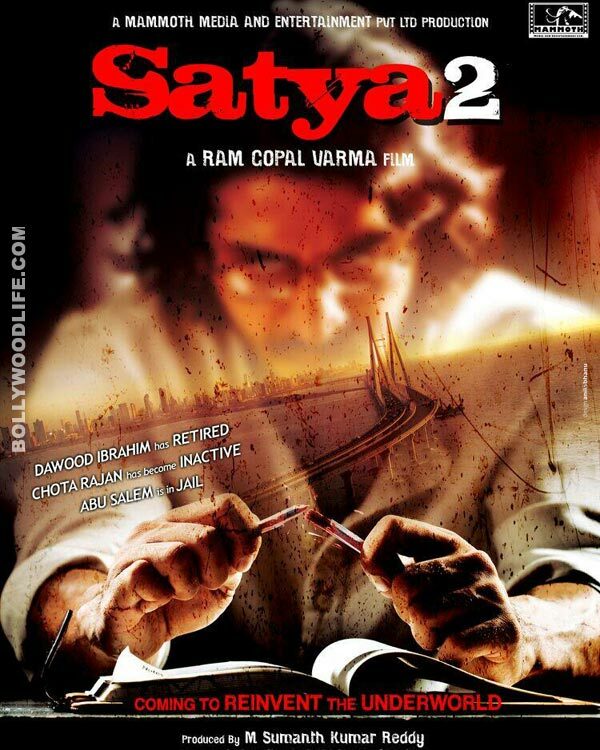 RGV's last offering for 2013 is Satya 2, the remake of the hugely successful and iconic Satya (1998 release), considered to be one of the best gangster films ever made. Satya 2 is going to release both in Hindi and Telugu languages, and explores the reemergence of the Mumbai underworld after being literally wiped out. Such kind of a story track has already earned RGV the ire of the fugitive underworld don Chhota Shakeel, who made a threatening call to RGV sometime ago, accusing him of challenging his supremacy. Ganesha observes that the film will release with a Scorpio Ascendant. Lord of the Ascendant Mars is well posited in the 10th House. Lord of the 10th House Sun is placed in the 12th House with Saturn, Rahu and retrograde Mercury. Sun's debilitation gets cancelled because it is placed with exalted Saturn. Jupiter the Lord of the House of finances is retrograde. Moon is in Purvashadha Constellation. Lord of 2nd House is placed in the 8th House, Lord of 8th House is in the 12th House and 12th House Lord is in the 2nd House. Ganesha feels that Satya 2 will have an average opening across India. It is not likely to have a 'grand opening', as planetary positions are not favouring the movie. Business of the first weekend and the first week will be quite average, feels Ganesha. Performance of the actors and action sequences will be good, but due to Jupiter being retrograde, people may find directorial flaws in the movie or they may not like the storyline much. This film is also likely to face tough competition at box office. Sarvashatakvarga chart is also indicating an average business for Satya 2. The only saving grace for the film could be its release in two languages (Hindi and Telugu). Summarily, Ganesha finds Satya 2 registering an average performance at the box office. Ganesha wishes good luck to the cast and crew of the film.